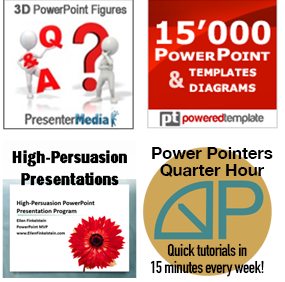 Andrew Dlugan, well-known for his Six Minutes blog, spoke on the topic of “Ethos, Pathos, Logos: Three Pillars of Persuasive Public Speaking. These pillars come from Aristotle’s book, On Rhetoric. He further broke down each component. 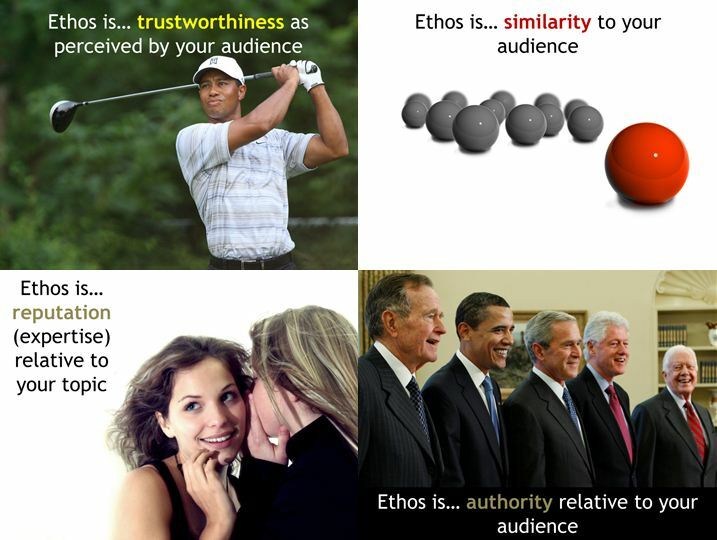 For example, here is his slide on what constitutes ethos. It’s hard to incorporate all aspects of ethos. For example, the President of a company may have authority relative to the audience, but be perceived as different. A way for the President to deal with this might be to dress casually. In the section on pathos, Andrew emphasized that emotion is important for making a connection with your audience. You can choose photos and words that resonate emotionally. For example, compare mishap and mistake to crime and sin. You can see that the second set of words is much more emotionally charged. Finally, he talked about logos, discussing the difference between deductive and inductive reasoning. Deductive reasoning is certain, but it’s hard to be certain about many of our arguments. You need to be aware when your reasoning is inductive. You can balance this uncertainty by using hard data and by emphasizing the points of most value to your audience.